Insurance Denied Because of Undisclosed Resident? I'm currently living with my parents, but I own my own car and have my own insurance policy. The last time I lived at home, their insurance company cancelled the policy for one my father's cars. I received four or speeding tickets over the span of two years when I was younger, so they refused to insure him while I was living their. However, I never drive their vehicles, and as I mentioned I have a separate vehicle and insurance policy. How am I still considered a liability? My parents want me to get around this by registering my car to a P.O. Box. However, I have to prove my physical address to get a P.O. Box, which means I have to either lie about my address or get a new ID with their address on it. I'm not comfortable with the first choice (I don't want to risk my mail getting sent to my old address) and the second would seem to defeat the point of doing this whole thing, as the address on my ID would be their address anyways. Is there any way around this that doesn't involve lying about my residence? Moving out is an obvious option, but I don't see that happening soon. They can only refuse to insure if you are refusing to be excluded, because that means you would be driving the other vehicles. If you are specifically excluded on the policy then it's not a problem. A PO Box won't solve a problem, the insurance company will ask for a garaging address. Have your parents talk to their agent about this. Worse case, they will need to exclude you from their policy so you have no impact on them. A lot of this will depend on how old those speeding tickets are at this point, if they are old enough, they won't matter anyway (I assume they are still more current though). Since you have your own car and your own insurance, this usually isn't a big problem for the insurance companies. I think what's going on here is that your parents are insured with a preferred company. otherwise, simply excluding you on your parents' policy would be the very easy solution to your problem. 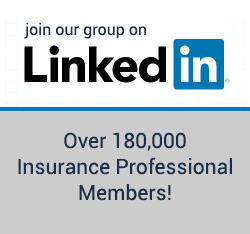 The vast majority of auto insurance companies allow a named insured to exclude drivers. But not all of them do, especially the higher standard and preferred carriers. 1. ask your parents' agent if the company can exclude a driver (be sure to make it known that you have your own insurance on your own vehicle, and can provide proof). 2. if above doesn't work, call your parents' company directly just to make sure you get the same answer. with proof of insurance on your own vehicle, some underwriters may be able to make an exception that your agent doesn't have the power (or doesn't know the right person to call) to override. 3. double check the exact dates of your speeding tickets. depending on the company, they could fall off as early as 35-36 months. *** I agree that changing to a P.O. box will do you no good. if none of those work, then about the only other option I can think of would be for your parents to switch to a carrier that allows excluded drivers... this would probably be an option that your parents would be very reluctant to do. but it would fix the problem right away. This still can present a problem. Depending on the carrier, an excluded driver may create an increase in premium. Which is better than non-renewal, sure - but I can understand how they might not be happy about it. True enough, but if there is an increase, the increase usually isn't huge. Its sort of down to what problem are you trying to solve.